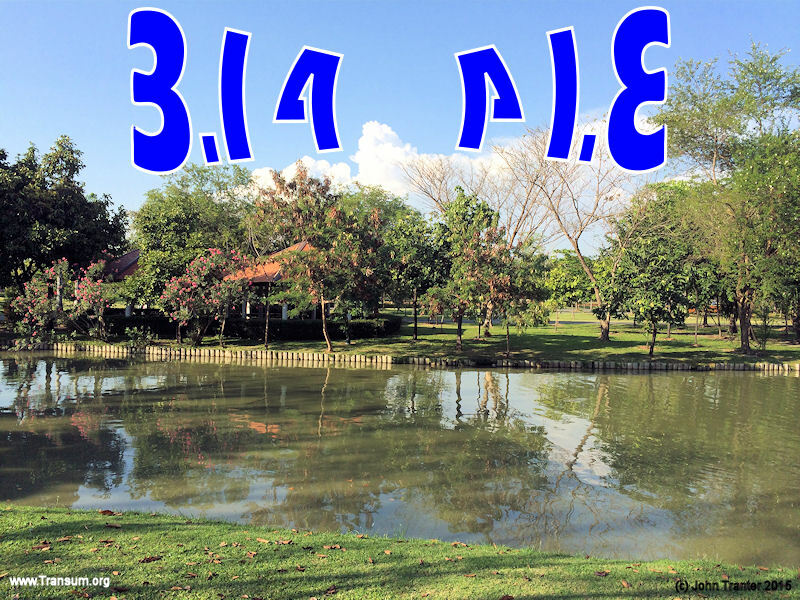 March 14th is π Day. Today's challenge is to memorise π to as many digits as you can before it fades completely. 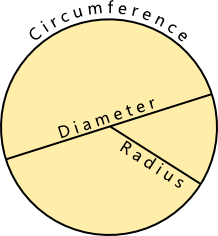 Though it is not necessary for students to memorise pi these days it is important that they are familiar with it and can use a rough approximation of it to estimate answers to questions. 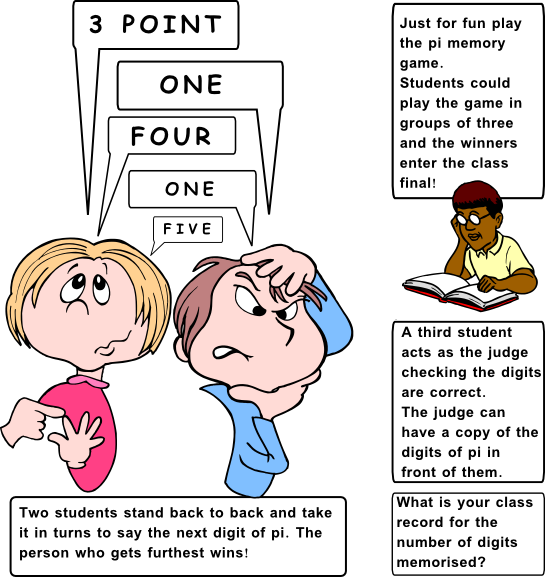 This exercise certainly helps students become familiar with pi but also uses pi as an arbitrary subject of this memory challenge. Incidently, in the days when memorising pi was important people devised mnemonics such as “How I wish I could calculate pi” where the number of letters in each word represent the first seven digits of pi. Do you know any other mnemonics for remembering pi? Please let us know. I absolutely love many of your problems. I search for open-ended ones & your site usually provides a lot of them! Thanks! One suggestion I have is to always have one matching a holiday. I really enjoy incorporating the holidays/current events. I see you have a great upcoming one for Valentine's Day. You provided a fun one on Halloween. Keep up the excellent problems for our students. You may have scrolled this far down the page and missed the buttons above that allow you to vary the amount of time pi is visible on the screen. This function adds urgency and excitement to the memorising part of the lesson. You choose the time that would work best for your class. Happy Pi Day! Starting from last year, I have memorised pi to 100 digits. I purposely finished memorising 100 digits on March 12th. March 13th was for practice and March 14th was for presentation. Afterwards, I showed the class the world record holders. They loved it. http://pi-world-ranking-list.com/lists/memo/. The first time a digit repeats six times in succession in pi is at the 762nd position where you can find six nines in a row. This is known as the Feynman Point. An opinion without 3.14159265359 is just an onion. This starter has scored a mean of 3.0 out of 5 based on 203 votes. How does the circumference of a glass compare to the height of the glass? You'll be surprised when you find out. In this video mathematician Simon Singh talks about Pi and Maths in The Simpsons cartoon. \(i\) is the imaginary unit, the square root of negative one. 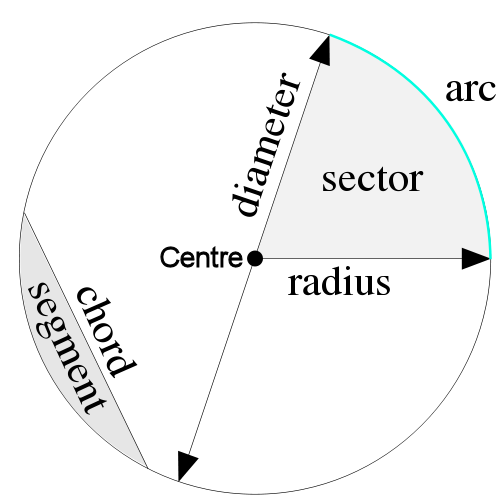 then adapted and published by Gottfried Leibniz around 1676.
statistics and the graph is sometimes more commonly referred to as the bell-shaped curve. drop \(n\) needles of length \(L\) onto a plane ruled with parallel lines \(t\) units apart. Count the number of needles, \(h\), that cross lines. First posed by Mengoli in 1650 and solved by Euler in 1734 this is known as The Basel problem. Even calculus has a use for pi as can be seen in this integration. I didn't know you could find the factorial of a fraction. Matt Parker's new book is all about our mistakes and misadventures with maths, geometry and all things numbers. Going from the mundane as to arguments about how many days in a week and the shape of footballs on signs, to famous errors and mistakes like the Space Shuttle disaster, London's walkie talkie building and the Millennium wobbly bridge. He explains how these problems occurred and in the case of some that they had occured in the past and we hadn't learnt from previous experience. Originally a maths teacher from Australia, Matt Parker now lives in Godalming in a house full of almost every retro video-game console ever made. He is fluent in binary and could write your name in a sequence of noughts and ones in seconds. He loves doing maths and stand-up, often simultaneously. and talked about his school's amazing Pi Day themes.